Capital Administration and Development Division (CA&DD) has been created in wake of the 18th Constitutional Amendment. The Division is mainly responsible to execute all such functions being previously performed by the devolved Ministries/ Divisions within the jurisdiction of the Federal Capital, Islamabad. The principal functions of the Division range from subjects like health, social welfare, education, special education, to population welfare and tourism. 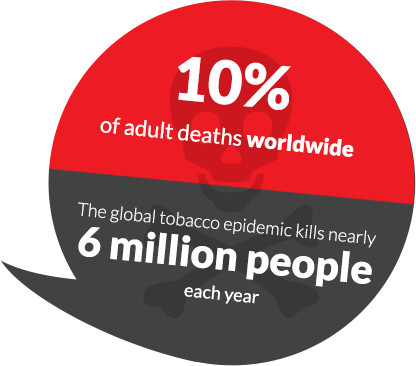 The Health Wing of Capital Administration and Development Division, realizes that tobacco use is the single most preventable cause of death globally and is currently responsible for 10% of adult deaths worldwide and the global tobacco epidemic kills nearly 6 million people each year, of which more than 600,000 are non-smokers dying from breathing second-hand smoke (World Health Organisation). “Strengthening Tobacco-Smoke Free Islamabad Initiative”, is an extension of “Islamabad model city project”, under Capital Administration and Development Division (CA&DD) for creating awareness of hazards of tobacco use in the general population and making District Management, Revenue Collectors, Bazaar Unions, Hotel Associations, Education Managers, Hospitals Management, Authorized Persons and Law Enforcement agencies recognize and join hands to execute the model of a Tobacco-smoke free capital. Main objective of the project is strengthening tobacco control efforts through establishing coordination among district departments to plan, implement and monitor Islamabad model city project. This will be achieved by creating awareness and facilitating enforcement of “Prohibition of Smoking and Protection of Non-Smokers Health Ordinance, 2002” till the end of tobacco/ sheesha epidemic in Capital. 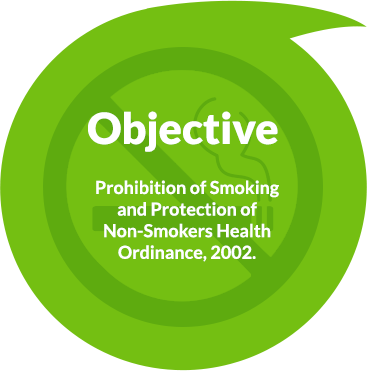 The ultimate goal of this initiative is to come up with the obligations under FCTC of World Health Organisation “to contribute to protecting present and future generations not only from the devastating health consequences due to tobacco, but also from the social, environmental and economic scourges of tobacco use and exposure to tobacco smoke”.